Born and raised in Brandenburg, Fiedel has never been far away from Berlin. The long-time Ostgut and Berghain resident has built a reputation as a sharp DJ thanks to his mind-warping techno sets. 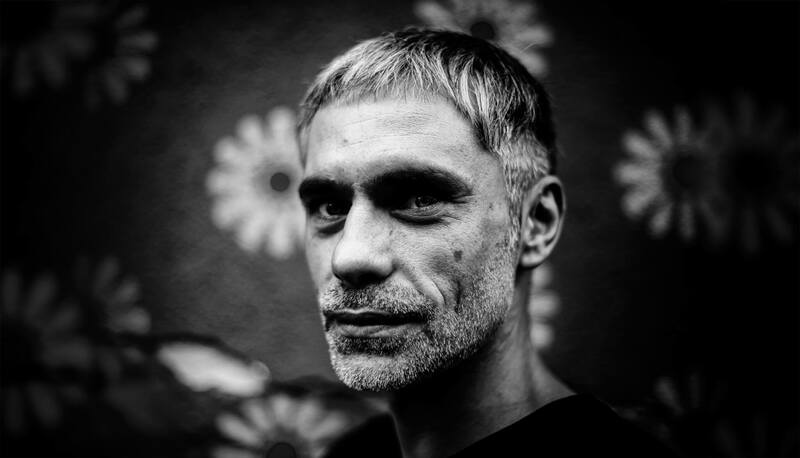 Since debuting on Ostgut Ton’s Fünf compilation in 2010, he’s gone on to launch his own labels, Fiedelone and Fiedeltwo. He’s also half of the force — alongside Errorsmith — behind the MMM project. That was one of the reasons why we tapped him to be a part of the B-Sides video series on our YouTube channel, which you can watch below. Now, he’s back as a part of our Played Out column, which explores the methods behind some of our favorite DJs’ techniques. For this one, he deconstructed a portion of his latest mix, Berghain 08. From banging techno, to the funk-influenced foundations of old-school Detroit, Fiedel has revealed a good chunk of his musical spectrum. For him, it’s not about numbers, bars and theory. Instead it’s all about feeling. The following excerpt is taken from Berghain 08, which was recorded live at Klubnacht in Berghain, November 18, 2017. I played a regular four-hour set that Sunday around noon. Actually, I played two sets because of my intention to record the mix. In the first half, I was warming up, and I switched on my gear for recording. Eventually, I pressed the record button, broke the music down and started the set I had in mind for the mix. I put together a selection of vinyl and dubplates, which I wanted to choose from, and I had a vague idea of how the story should go. The rest happened there in real time. We dive in at about 22:50, after I restarted the crowd. I played some groovy stuff in the beginning, so that they would be ready to tune in for the second half of my set. This track by Noncompliant (aka DJ Shiva) is so bouncy and raw that it moves every bone. It’s got great beats and breaks. Since this wasn’t released by the time of the mix, I cut this track to dubplate. Those long sets at Berghain require two different things: first, you have to develop a marathon style and give people time to dig your vision, otherwise you or the crowd will be exhausted after two hours. Second, you have to keep the mix interesting with variations in the music. For Berghain, the style of this track is kind of lightweight. But I like to play different styles during my sets and change beats from straight to bouncy and back again. From the perspective of the mix, it is still a sort of warm-up. I mix it in right after a track by DJ Hell. I put it in at a suitable point with bass EQ set to low and change it over to merge the two tracks. The vocals and main sequence get along fine together. At one point, I press stop on Hell’s side and cut into the full track of Noncompliant. I start to push it a little bit more with Juan’s track. It’s still funky and slightly hypnotic, but this track marches on to set the tone for further acceleration. I especially like how Magic Juan works the main sequence, which meanders and changes throughout the progression of the track. These are two extremely busy and bass-y tracks. I need to keep the beat, so I come in during the break with the bass EQ at low. Since the sequence starts soon, I need to fade out quickly. This track is my favorite of Ø [Phase]’s “Binary Opposition” reprocessed series—the track is by Peter van Hoesen. The intro is kind of sparse and becomes even more surprising when the filter starts up. It’s a perfect tool to push the crowd. About 30 minutes into the mix, I change to more straight-up beats. Waiting for the main sequence and taking advantage of the first part of the track, I let it run together with the record for a little while. How many bars? I just don’t know. I don’t count at all. It is a feeling. I fade out the old track before bringing up the highs and bass. Stefan’s track is a hypnotic stomper. I chose it for the exclusive EP on Ostugt Ton, because it perfectly describes the mood on the Berghain dance floor. A rolling bassline and a hypnotic sequence let you drift away from physical reality. I kept this one in for a bit longer to let it develop its forces. The record I played was the test pressing, since the finished copies weren’t available at the time. I merge the two records in a long transition and keep it going for a while. Raising the volume with the bassline, and switching bass EQs, I make way for the hook. Then, I switch over just before the percussion starts. With “Circuit Maximus” the mix takes its grip again. I love this track as a mixing tool. Released in 1995, it is one of the oldest records in the mix. That makes it sound a bit different compared to the more recent productions. In the past, the bass wasn’t so heavy and the tracks weren’t so compressed. While mixing, you have to pay attention to this and set the levels and equalizers accordingly. “Panther” and bring in the lows of the next track. This one is also on the upcoming Fiedeltwo compilation. The Ausgang guys gave me a 10“ dubplate together with a copy of their latest release. I checked it out and liked it immediately. The title just says “Acetat”, which is another word in German for dubplate. For me, it’s a perfect mixing tool. It’s got a raw funkiness and nice breaks that make the audience scream. In the mix, it’s now time to go a little bit harder. I blend it in with the first note. At Berghain I like to create a flow that I can continue throughout the set by blending instead of cutting. That means adjusting the volume and bass EQ for the needs of bringing those two tracks together. Then I switch tracks completely during one of those nice breaks. The mix goes even harder. This track is a true masterpiece by Espen Lauritzen. It’s my key track of the mix. Funk and power are unleashed in this track. He manages to combine those two components in a way that will always make me want to dance when I hear it. Quick and dirty: I switch bass EQs and get in. “Acetat” is quite short and has no outro. I get back into a straight and hard track here with a dubby feeling. It keeps on pushing and works just right with the filtering of the sequence. Both synth lines fit together well. I merge, as described already, and wait for the first break to approach. That is a good point to get out of the track. The sequence just starts and the mix starts shifting. The rave continues with this track. I like its hook and how it evolves with the chorus coming up sometimes. It’s a perfect rave tune. The hook comes in slightly with the bass EQ at low. I push up the volume and switch out the bass. The smooth blend works well for continuing the mission. I end this little excursion here at about 58 minutes into the mix. I will go on to more trippy stuff, before it gets to round two when more dance force is applied. As you might have recognized, I recorded an atmosphere track as well, but mixed it in only occasionally. The venue has a large reverb and it doesn’t feel appropriate to have it in for the whole time. So, I chose more quiet passages to put it in. The mix continues for more than an hour, but is still quite short and condensed compared to a regular set at Berghain. Without time limitations you are able to tell a longer story and dive deeper into each section. For my pick of records and the way I mixed, I was lead by the feeling of the moment.